Gemma Arterton stars as a feisty feminist Ford factory worker. "a deeply, unapologetically British musical"
Based on the 2010 film staring Sally Hawkins, "Made in Dagenham" is a brand new musical comedy starring Gemma Arterton (James Bond Quantum of Solace, Tamara Drewe). Like the film, the show is set in Essex in the late 1960’s and tells the story of mother and Ford factory worker Rita O’Grady. Faced with the news that women working in the sewing room are facing a pay cut, Rita summons all her strength and decides to fight back. As the fight gets tougher, with the girls trying to take on business giant Ford as well as their own union, will Rita be able to hold on to her family life and her crusade? This inspirational show promises to be both funny and touching in equal measures. As there is some adult content including some light swearing in the show, parents should not take young children to see the show. Older children/ teenagers may be inspired by the powerful storyline. Loved the show from start to finish, have seen it 3 times and always see something new, hoping to see it again before the end of the run. The factory girls are fantastic, don't know how they held out when all the men were laid off! Loved the sets, very clever especially at the beginning. Wasn't till I read the programme that I realized what an enormous part the tea girl had played, the choreography in the dining room was so relevant to young girls lives in 1968, the pathos wasn't lost on me. The whole show was great, a real feel good vibe, just what was needed when the world is full of depressing news. I love it! BRAVO!!!! 10 stars! Sorry it's coming off! Go girls!! Lively but disappointingly LOUD - even those with good voices seemed to shout/scream losing the melody and often the words. There is also unnecessary swearing which some may find amusing but not acceptable for younger children & more genteel older people are watching - this is NOT entertainment. The show was good but theatre freezing cold everyone was having to sit with coats scarfs and gloves on this spoilt the show for us and our weekend this is why I have given it a low rating we were offered a hot coffee but I feel this is not an answer would not use this theatre again nor recommend it. This show was absolutely brilliant. It was very true to tale and the performance with excellent. Go and see for yourself. You wont be disappointed. Excellent show. I really enjoyed the show, but the most annoying thing was the noise coming from the air conditioning unit above us. It made it difficult to hear the speaking parts. We were sat on the third row back in the dress circle. amazing all the cast were fantastic best show ive ever seen. Amazing! This show really blew me away, Gemma is made for the stage. I didn't think I would enjoy it as much as the film but it far exceeded my expectations. GO and then GO AGAIN! I don't normally do reviews, but what a great show. Gemma I knew you would be a star when I saw St Trinians and you were brilliant in this show as was everyone. Really enjoyed it and the PM was superb. I'm a bloke, but found it touching as well as funny and enjoyable. A great feel good show with plenty of East end humour, Harold Wilson and Barbara castle were hilarious. It's a must see musical. Exciting & powerful, superb scenery quick set changes, loved the up to date witty lines. Made our weekend in London truly special. Good luck to all. Chris et Clare, Charente France. 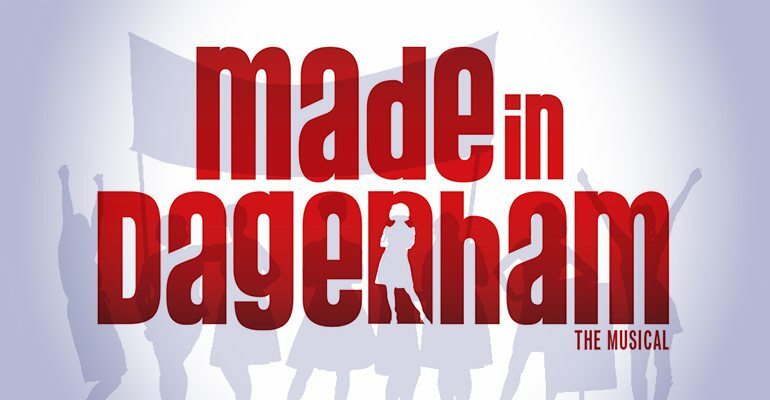 Made in Dagenham is a super show. No idea why the critics were so negative. But the prices of drinks at the Adelphi Theatre is ludicrous. I had a mix feeling about coming for seeing this but I had a real time! Some people should see this for relieve stress and have a real time!! Very thoughtful and dainty. Absolutely fantastic. The cast were stupendous. Harold Wilson and Barbara Castle stole the show. I would highly recommend it. I'm such a huge fan of the film so my sister got us tickets to go and see it, I thought it would disappoint but it was wonderful! It's much funnier than I expected, a real oddball sense of humour -especially with Harold Wilson and Barbara Castle. <span style="color: #292f33;">Even if you haven't seen the film... GO! It's amazing in it's own right.</span> Fab! An absolutely wonderful show which made me wonder where the time had gone when I left the theatre. Great songs, funny sketches and really great performances from all the cast. A 'must see' as far as I am concerned. Fantastic show, acting and singing outstanding. Loved Harold Wilson got his mannerisms spot on, and Barbara Castle. Thought the little cleaner was a great touch, wondered before it started if she was in the show. Great feel good musical hope you have a good run . you should be able to rate higher than 5, this was very funny and sad and made you wanna sing alone not just the Gorgeous Gemma thrown to the front but a great all round cast show. the sexist stand-up comedian missed a trick though i was sure he was going to say "why aren't women paid the same as a man? Because a women's work is never done...." but no they missed a trick there. overall a great night out i would recommend a trip out to see the show. Absolutely brilliant, makes you smile from beginning to end and thank you for my equal pay Rita!